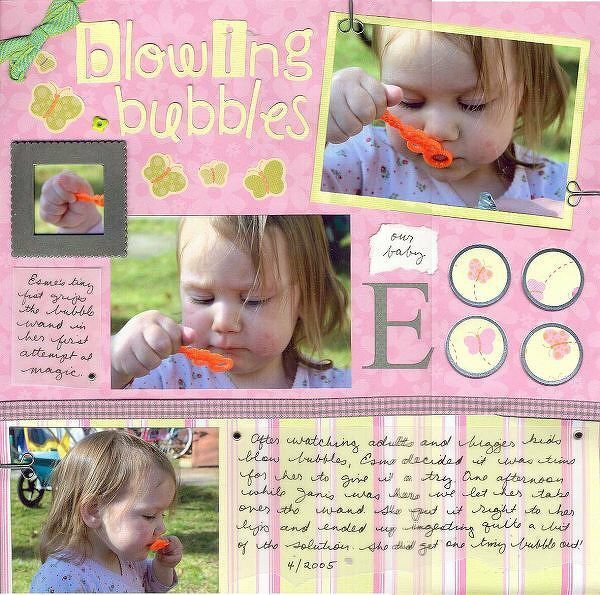 Papers by KI and DCWV, journaling reads, â€œEsme's tiny fist grips the bubble wand in her first attempt at magic,â€� and, â€œAfter watching adults and bigger kds blow bubbles, Esme decided it was time for her to give it a try. One afternoon while Janis was here we let her take over the wand. She put it right to her lips and ended up ingesting quite a bit of the solution. She did get one tiny bubble out!â€� Thanks for looking!